Chick-Chat: Gym Wear Essentials: From Victoria Secret to H&M! This is my latest purchase and I absolutely love them. I don't think I've ever been so excited for a package to be delivered as I'd saved up for these and I probably wear these twice as much as I wear any of my heels. If you've been to the gym recently or any type of group fitness you'll see Nike trainers are the most popular which is testament to their quality so I had no doubt about choosing this brand. I didn't really shop around as it's clear by their popularity and reputation that they were worth the price and would last (maybe check this space in 6 months time, but so far so good). At £84.99 it is at the top of end trainers and you can even spend £120 if you want to create your own design and colour pattern. 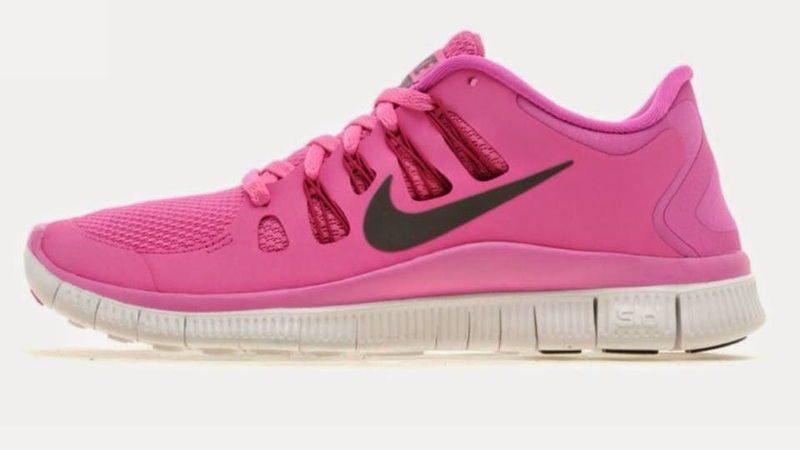 My boyfriend recently bought the men's free runs, basically the male version of these but in green, and was lucky enough to pick his up in the sale at around £60 - such a bargain! It is worth bearing in mind that if you're serious about keeping up exercise then investing in a good pair like these is worth it. H&M is a hidden gem when it comes to sports wear. 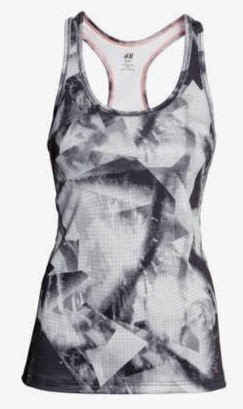 Or maybe it's not so hidden and I only just realised the amazing sportswear it sells?! Either way, as H&M is known for its bargain high-street prices, it is no surprise that this comes at £12.99. But what is important is that the quality is also pretty good and they do so many styles of sports bra, most of which are completely elastic and fit like a glove. I love the feel of wearing these as they are completely smooth yet supportive. I love the grey and lack combination on this one and the racer back looks sporty and is adjustable. And they look stylish too! Many of you may know about Victoria Secret's Pink range which does a lot of adorable lounge wear but the brand also do sports gear to lust over - as if we weren't hooked in already. My favourite thing from their collection at the moment is their black leggings. I think everyone needs a go-to pair of black leggings for the gym which you can wear again and again whilst not feeling conscious of how you look (If you're like me you've probably got to much on your mind when you head to the gym, you don't need to worry about how you look on top of that). It's universally known that black gym leggings are more than flattering so get yourself a reliable pair. I've chosen these as I love the blue (it comes in other colours) detailing on the thighs - they emphasize the muscle shape of the leg and are a nice touch to an otherwise plain item. So I'm recommending another item from H&M as I honestly can't get over how much of a bargain the sports clothes are and how they replicate the look of brands such as Nike. I recently the black and white patterned vest top on the right and I love it. I like to wear all black and the colour spices it up a little. I really like this pink and orange vest top as the colour blocks with black outline look really flattering on, especially the strips down the side. 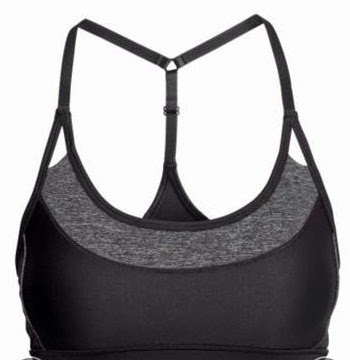 Both tops are completely smooth and fitted when worn and thrown over a comfy sports bra you'll feel comfortable and not have to worry about fussing with straps falling down or the top coming up if it's too short - something I hate when running! I keep seeing these shorts everywhere; On Pinterest, Instagram and fitness twitter accounts, it seems nobody can get enough. I prefer to wear leggings but if you like to wear shorts in the gym there doesn't seem to be anywhere that rivals Nike's range of shorts. With summer coming, and the irresistible patterns that they come in, I may have to purchase a pair. They look like the ultimate comfortable bottoms and are thin, skin-tight and feel like you're barely wearing anything. A gym bag is essential to carry all the things you need and is convenient to keep your clothes in so you can just grab it and go. I've seen this bag a lot and wanted it but I have a really good Tripp bag so haven't needed to get one. It's a bit pricey just for a gym bag but I would say its one of the nicest. I don't really like many of the sports branded ones by Nike, Adidas and so on as they tend to be plastic and aimed for team sports players as they are hard-wearing, a bit large for what I would need and less stylish. 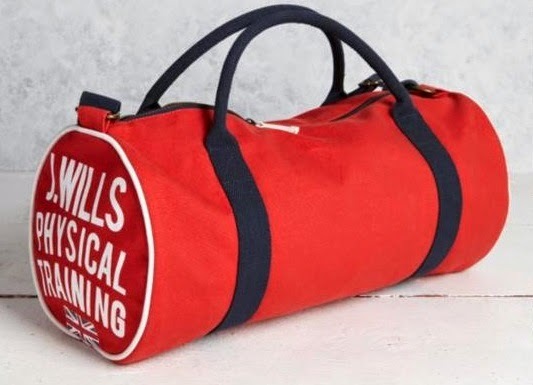 This Jack Wills one is fabric and not too big so it fits all the essentials. I know I recommended the black leggings as a must but if you're going to get a second pair make it some that stand out. There are so many out there as bright, fluorescent patterned gym wear seems to be really on trend right now. I just bought a pair nearly identical to these from H&M but they aren't on the website anymore to show you but Sweaty Betty have a great quality alternative. This brand is known to be fairly expensive and more of a designer brand when it comes to sports wear but they do lots of simple, well-made garments. Less flattering than black, the patterned legging will make you more conspicuous but I love them and I don't think you'd regret it. If you don't feel confident stick to black but I personally think they look really cool and whenever I see people in the gym in funky clothing I'm always jealous. It is a good idea to have a good water bottle as I have found out because I always forget mine and end up buying a bottle of water nearly every time I go to the gym - I could have bought an expensive one if I added up the amount I've spent! But at the same price of a bottle of water you can get a bottle like this Slazenger one which is online for £1.50 right now - so cheap! I love this jumper! This is on my to buy list at the moment as I wanted a jumper/hoody to lounge around in and wear to the gym. I'll admit I'm slightly partial because it is from the infamous Jamie Laing's website and I end up being drawn in by this. I wouldn't buy this at the usual price £40 but it is currently on sale for £25 which I am (nearly) convinced is worth it. There are also matching joggers on the site. Hollister and Victoria Secret Pink also do comfy jumpers and hoody's which compliment your exercise gear but aren't essential. 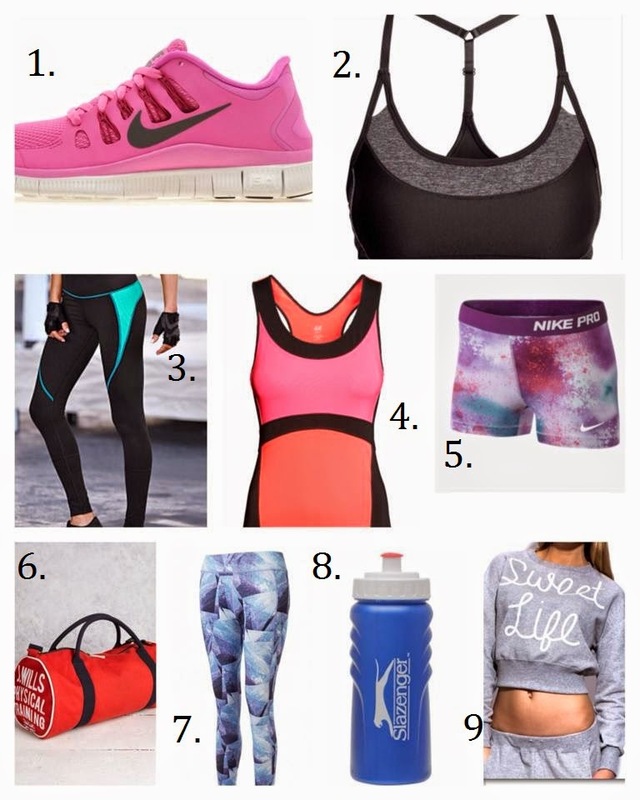 Have you found any shops that sell great work out clothes? Please let me know as I'm forever picking up things to somehow inspire me to workout. Totally I read articles it's inspires me a lot of- really nice gym-wear.Here you get more relative information if you have time please go low price workout clothes.